Mary Cowthran Schiele was born on October 13, 1945 in Shreveport, Louisiana to Joe and the late Lula Mae Cowthran. Mary attended and graduated from Lincoln High School where she met her future husband, Gerald H. Schiele, Jr. On October 3, 1965, Mary and Gerald were united in marriage, which lasted 53 years! From this union four children were conceived, Gerald III, Kenton Sr., Marcus and Jenell. Mary was the oldest of five siblings, brothers: Joe, Roy (proceeded her in death), sisters: Sandi and Diane. Mary confessed Christ at an early age was a faithful member of Grace Baptist Church where she served over the Fellowship Outreach Committee for many years. She worked tirelessly to ensure that picnics, dinners and various other functions were carried out as close to perfection as possible. 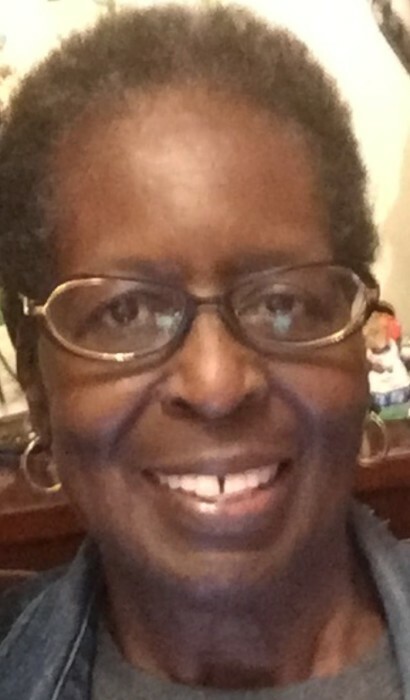 Mary worked as a Receptionist at Lathrop and Gage, LLC for fifteen years and retired in 2015. Mary enjoyed entertaining family and friends and often prepared delicious meals for various occasions. She is most famously known for her homemade crescent rolls. Mary was a loving wife, mother, grandmother, sister, daughter and friend. She went home to be with her Savior on November 27, 2018. Mary loved all those she knew and all those she knew loved her. She leaves to cherish her memories, her husband, Gerald H. Schiele, Jr; children Gerald H. Schiele III, Kenton R. Schiele, Sr. (Karren), Marcus A. Schiele and Jenell D. Watts, (Christopher), father, Joe Cowthran; siblings; Joe Cowthran (Marilyn), Sandi Cowthran and Diane Spicer (Darryl), thirteen grandchildren, Breonna, Kailah, Gerra, Unique, Gerald IV, Tamia, Kelcie, Ke’Auna, Kenton, Jr., Taylor, Elijah. Phillip and nine great grandchildren, nieces, Michelle, Jayla, Jessica, nephew, Jonathan and a host of cousins and other relatives and friends. Funeral Services will be held at 11:00 A.M on Wednesday, December 5, 2018 at Grace Baptist Church 8524 Blue Ridge Blvd. KCMO 64138. Visitation, 9:00 A.M. Interment 2:30 P.M. Leavenworth National Cemetery.